Now that the busy season of Summer CHA is over and our new 2011 Catalog & Idea Book is finished, we’d like to welcome you back to JustRite’s Friday Challenges! The challenges will still be on our twice a month timeframe (2nd and 4th Fridays), giving you almost two full weeks to play along! Since it’s one of the hottest Summers on record here in parts of the U.S., we wanted to present you with a challenge that just might help cool you off a bit . . . to get started making your Holiday cards & tags! So this JustRite Friday Challenge #056 is to make a SHAPED Holiday card or tag . . . something other than a standard rectangle or square! The grand prize winner will ALSO receive a Spellbinders die set of their choice (currently in stock in the JustRite Stampers web store)! THREE honorable mention winners will each receive a Christmas stamp set of their choice … either JustRite Original OR JustRite Cling! I stamped the sweet snowman in a mitten onto Copic’s X-Press It Blending Card with Memento Tuxedo Black ink and colored him with the Copic markers listed below. He was hand trimmed and popped up on the mitten. I die cut the mitten tag with a Spellbinders Nested Mittens die (backed with another mitten cut from sturdy cardstock, to give it stability) and colored the embossed edge with Copic R37. The bottom half of the sentiment from this set “Warmest wishes for a happy holiday” was stamped with Memento Rhubarb Stalk ink directly onto the bottom part of the mitten, since the shape of the large oval stamp matched the shape of the mitten. The top part of the sentiment was stamped onto another piece of the patterned paper, cut out, and adhered to the top of the mitten. A hole was punched in the top left of the mitten and embroidery thread tied through it, to allow for tying onto a gift. A die cut poinsettia completes this little 3” x 4” tag. You will need to use JustRite stamps on your project and upload it to an online blog, gallery or photo hosting website. You may make and enter as many different projects as you'd like for our challenges. You will then need to link to your project back here on our blog post, using the linking system on this challenge post. Please make certain your link is directly to your project, not just your general blog home page or overall photo gallery, so we can find it easily. (Links that are spam, commercial in content, or are not linked properly/directly to your project will be deleted). If you choose to upload your project to www.Splitcoaststampers.com OR our Flickr gallery, please use the weekly challenge code (example:JRC_056 <== that's an underscore between the letters and numbers) in the keyword section of the Splitcoast project upload page or the tag section of the Flickr gallery. You will have until Wednesday, August 24 at 8:00 PM Central to make your project and enter a link to it below. Winners will be chosen and announced the next day (Thursday, August 25) here on the JustRite Inspiration Blog. Please allow up to 4 weeks for delivery of your prizes. By entering our challenges, you grant JustRite Stampers permission to use your artwork here on our blog as well as our company website gallery (with designer credit given and your blog post or gallery linked) or any possible advertising. We can't wait to see all of your shaped holiday cards and tags! This week's JustRite Friday Challenge #052 is to use this Spring inspiration photo . . . Using Copic markers is certainly welcome (along with any additional values of these shades that are needed), but NOT a requirement of the challenge. Neutrals from the photo, of cream and brown, may also be added to the color palette. This week's grand prize challenge winner will receive: A $75 JustRite Gift Certificate to spend any way you'd like . 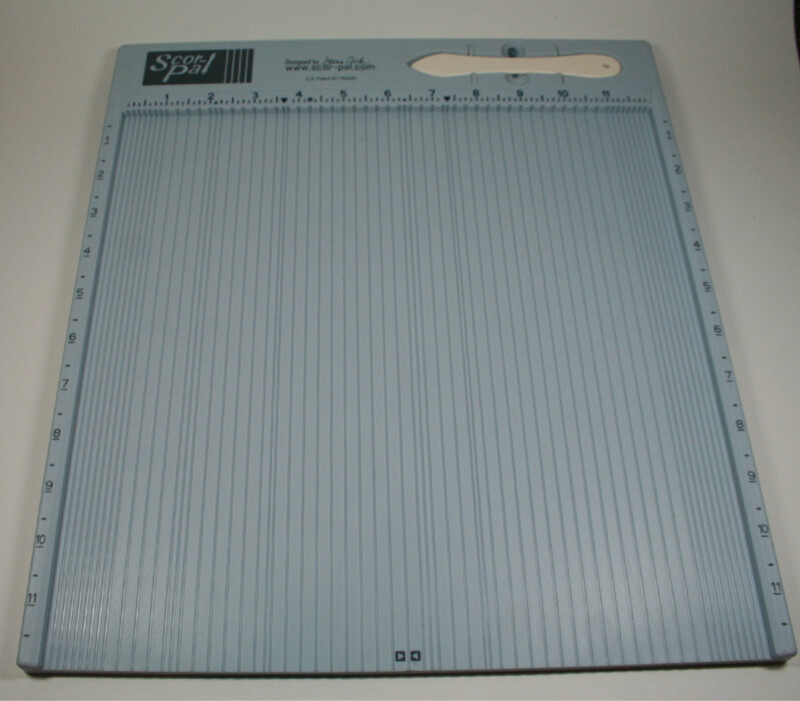 . . from any of our Cling stamp sets or Original Ribbed stamps; to Copics, Spellbinders dies to match our stamps, JustRite Custom Dies, Memento Ink Pads or Memento Markers – YOU name the prize! Three honorable mention winners will each receive a $25 JustRite Gift Certificate, to spend any way they choose! 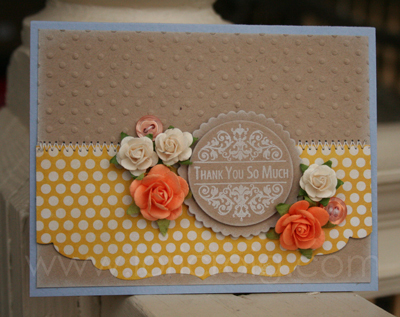 Lori Craig (Copic Central & NE U.S. Certification Instructor) made this beautiful thank you card using our 3" round JustRite Original You're So Sweet set — wonderful use of 3 of the colors! Kathy Jones (Australian Copic Certification Instructor and JustRite design team member) used all of the colors of this challenge in her sweet Birdhouses card! You will need to use JustRite stamps on your project and upload it to an online blog, gallery or photo hosting website. You may make and enter as many different projects as you'd like for our challenges. You will then need to link to your project back here on our blog post, using the linking system on this challenge post. Please make certain your link is directly to your project, not just your general blog home page or overall photo gallery, so we can find it easily. (Links that are spam, commercial in content, or are not linked properly/directly to your project will be deleted). If you choose to upload your project to www.Splitcoaststampers.com OR our Flickr gallery, please use the weekly challenge code (example: JRC_052 <== that's an underscore between the letters and numbers) in the keyword section of the Splitcoast project upload page or the tag section of the Flickr gallery. You will have until Thursday, April 14 at 8:00am Central to make your project and enter a link to it below. Winners will be chosen and announced later that day (Thursday, April 14) here on the JustRite Inspiration Blog. Please allow up to 4 weeks for delivery of your prizes. By entering our challenges, you grant JustRite Stampers permission to use your artwork here on our blog as well as our company website gallery (with designer credit given and your blog post or gallery linked) or any possible advertising. We can't wait to see your color inspiration projects! The second method is to add shading to your white object — after all, even white things have shadows to them, just like colors do! Shading will make the white of your object "pop" and appear even whiter! A bit dull & lifeless, right?!! Another tip to coloring white things is to place as much color around the white object(s) as possible — this will give more life to your project. As you can see in my second example, there are a lot of greens around the white flowers (YG03, YG17, YG63), the pink bow (R81, R83, R85), and I airbrushed the background of the image with Copic Y32. All these things draw your eye to the white flowers and make them the center of attention! We hope you have enjoyed our coloring tutorials this week. We'll be back next week with more, using a brand new product to the JustRite web store! JustRite Friday Challenge 046: Technique – Scoring! Welcome back to JustRite’s Friday Challenges! This year, since we know both you and we have very busy schedules this Spring, we’ve decided to try out a different schedule of hosting our challenges every other week, on the first and third Fridays of the month. You will have 1-1/2 weeks to make your project – each challenge will end on the Wednesday (at midnight Central) before the next challenge is announced. You may enter as many different projects as you'd like, but you may win only one prize per challenge. We hope this will give you more time to plan and participate in our challenges! With this new 2-week challenge timetable, our challenge prizes will be bigger and better this year (more on that below)! This week's challenge will have TWO Grand Prize winners and THREE Honorable Mentions! As a result, we have decided to end our Flickr Gallery prize distribution each Monday, effective immediately. You are still more than welcome to post your challenge entries and/or any other JustRite projects you make in our Flickr Gallery – we love seeing all of your gorgeous work! This year a new and improved Scor-Pal has debuted! What is new? . . . Intelligent groove spacing! A perfect combination of 1/4" and 1/8" grooves and the usual grooves and markings for specialty cards and folds. Makes card making easy and fun! The 6" groove has markings to orientate yourself. Like the Scor-Buddy, a handy magnetized area for metal brads, etc. Top ruler markings are now color screened, easier to read. Envelope instruction booklet with oodles of envelope sizes included. New color –light blue like the Scor-Buddy! 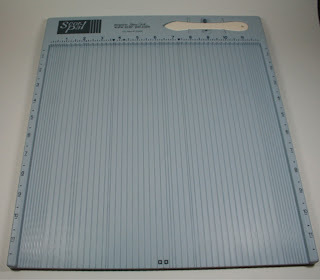 Notice that fabulous self-healing cutting mat on my larger Scor-Pal? Now the Scor-Buddy has a mini mat to top it, too! Are you ready to hear about this week’s prizes? Two Grand Prize challenge winners this week will each receive a Scor-Buddy with zippered storage pouch and Mini Self-Healing Cutting Mat ($26.95 combined retail value)! We're not done yet! We will also give away to THREE Honorable Mention winners our new You Inspire Me cling stamp set ($19.95 value)!! How's that for starting off the new year of our challenges with a big bang?!! For your chance to win one of these fabulous prize packages, all you need to do is make a project that has scoring used on it . . . either decorative scoring or scoring used to create a project (other than just a fold on a card!). You can find many tutorials and tons of inspiration for this scoring challenge on the Projects page of Scor-Pal’s website. I had already worked out my own dimensions for the sticky note cover (shown above) that I showed you on this post a few weeks ago and then just yesterday found similar instructions in Scor-Pal’s November 2010 project E-Zine here! Their instructions are for a sturdier version, with paper-covered chipboard covers, and include a cute gift box for the sticky note cover, too – so check that out! Then cover the outside with patterned papers and stamped image. You can find more finishing details, including the Copic-colored crocus flower center, at my personal blog, PaperFections. Scor-Pal designer, Valerie Stangle, has graciously made these beautiful samples for today’s challenge, using our 1-5/8" round Just A Note borders and centers. A wonderful peek-a-boo gift box full of tags that can be used for any occasion, all year long! You can find full details and all the instructions on how Val created her tags and beautiful box over at her blog today. Thanks so much for your gorgeous project, Val! You will need to use JustRite products for your project and upload it to an online blog, gallery or photo hosting website. You may make and enter as many different projects as you'd like for our challenges. You will then need to link to your project back here on our blog post, using the linking system on this challenge post. Please make certain your link is directly to your project, not just your general blog home page or overall photo gallery, so we can find it easily. (Links that are spam, commercial in content, or are not linked properly/directly to your project will be deleted). If you choose to upload your project to www.Splitcoaststampers.com OR our Flickr gallery, please use the weekly challenge code (example: JRC_046 <== that's an underscore between the letters and numbers) in the keyword section of the Splitcoast project upload page or the tag section of the Flickr gallery. You will have until Thursday, January 20 at 8:00am Central to make your project and enter a link to it below. Winners will be chosen and announced on Thursday, January 20th here on the JustRite Inspiration Blog. Please allow up to 4 weeks for delivery of your prizes. By entering our challenges, you grant JustRite Stampers permission to use your artwork here on our blog as well as our company website gallery (with designer credit given and your blog post or gallery linked) or any possible advertising. We can't wait to see your scoring technique projects!